Raised in darkness, called by light, a young slave boy challenges the might of a demonic sorcerer. Know this. You are my property, my slave. My word shall be your law. Can prophecy be thwarted? Sigmund, ancient sorcerer and wielder of heavy magic, believes he already knows the answer. After all, what chance does a weak, voiceless slave boy have against the power and might of the demon’s growing darkness? But what the sorcerer fails to realize is that the One has already claimed the boy, and placed within his spirit a glowing ember of light in a world of abuse and violence. Seven worlds linked by mysterious wormholes called skipping lines. Seven sealed Words of Light hidden in time. One heir of prophecy called to reclaim the Words, and bring the Light of truth. 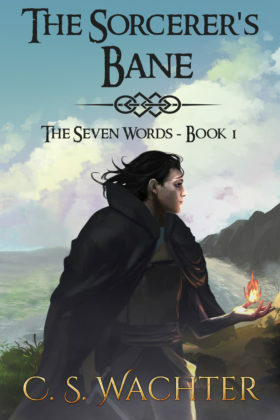 Book 1 of the The Seven Words series.